Hold on to your keyboards: One of the biggest days of online shopping is just around the corner. Amazon is holding its second annual Prime Day on Tuesday and the company is promising more than 100,000 deals across nearly all of its categories, including TVs, toys and electronics. Who: The deals are only available for Amazon (AMZN) customers with Prime memberships. However, shoppers can sign up for a free 30-day trial to take advantage of the sale (don't forget to cancel if you don't want to pay the fee). In addition to the U.S., shoppers in nine countries can participate, including Spain, Japan, France, Canada and the U.K. The deals will differ slightly in each country. What: The company said the sale will be the "biggest global Amazon event ever," and new deals will roll out throughout the day. There will be three types of deals on Prime Day: Spotlight Deals, Lightning Deals and Savings and Deals. Spotlight Deals are the best deals of the day, according to the company. A Lightning Deal is only available for a limited time -- typically a few hours. The company has been tight-lipped about exactly what will be on sale. Customers who have an Echo device, which uses Amazon's voice-command assistant Alexa, will be able to buy Prime Deals using their voice. They can also get $10 off their first purchase of at least $20 when they buy through the device. Alexa has been offering exclusive deals for the past few days, including a Dromida Kodo UAV Quadcopter drone for $25 and an Amazon Tap for $79 -- a nearly 40% discount. There have also been walk-up promotions since July 5 on a variety of items, including kitchen and travel products, back-to-school supplies, and TV shows and movies. When: The sale starts in the U.S. on Tuesday, July 12 at 3 a.m. ET; in other countries, it will launch at midnight, local time. New sales will become available throughout the day as frequently as every five minutes. 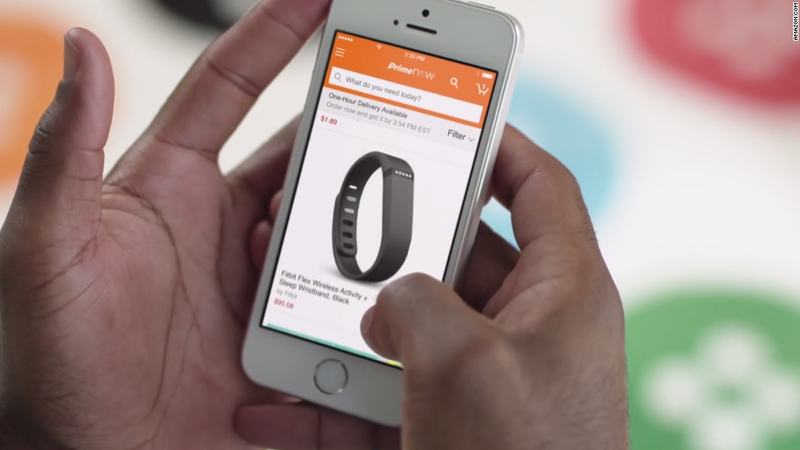 Where: Shoppers can track deals on Amazon's app and also find them on its website. Alexa will also be able to detail deals when asked. Why: Amazon launched Prime Day last year to celebrate its 20th birthday. While it was the biggest global sales day for the company up to that date, some shoppers were less than satisfied. Customers complained about the sale's product selection and inventory levels. Many deals sold out quickly, leaving customers frustrated. They turned to the internet to vent, leading to the hashtag #primedayfail. To address the inventory shortage, Amazon said it's worked with vendors to increase supply. For instance, the inventory of TVs for sale in the U.S. will be nearly two times more than what it stocked on Black Friday and Cyber Monday combined. However, Julie Law, a spokeswoman for the company, said it still expects the bigger deals, like those TVs, to still sell out fast. Customers also complained of having a hard time finding and tracking deals, since they rolled out throughout the day. "We admittedly did not have the most elegant deal shopping site last year for Prime Day." This year, customers will be able to track an item with Amazon's app and sort by category if they are looking for specific products. Prime Day is a different beast than Black Friday and Cyber Monday, when there's a set guideline of what people are shopping for: gifts. "People at this time are stocking up, maybe looking at back-to-school, they could be shopping for paper towel deals as much as TV deals," said Law. "Not every deal is for everyone, but hopefully those who want to shop can find something." One thing that won't go on sale is a Prime membership. "We feel it's already a deal."